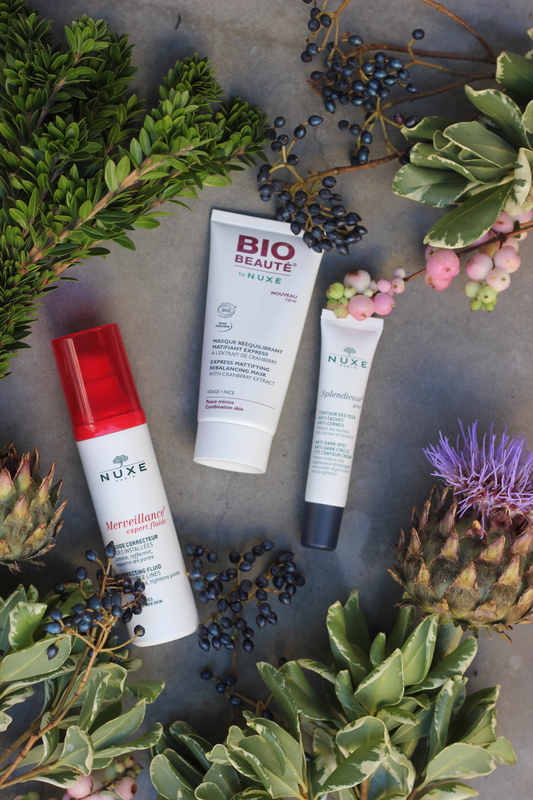 Are you ready for the NUXE fall news? I got a nice parcel with 3 of their new products and had great fun researching and taking these photos. I mean, look at this wonderful flower composition. I am so very happy to have teamed up with the lovely Carla from Festum Artis and Lush Interior Blog. (festum-artis.ch / lush-interiors.blogspot.ch). So lets start with a small interview to find out more about what Carla is doing. 1. Festum Artis, what a great name! How did you come up with it? Thank you so much! Well, you’d think finding a company name can’t be that hard but it sure wasn’t easy either – at least not for me. Even though I knew exactly what my work should look like I didn’t know what to call it. Most of all I wanted a name that illustrates my aim at creating artful, one-of-a-kind decorations that give the event and its special moment the frameset it deserves. On the other hand – being the aesthete that I am – it had to be sophisticated. So I read about brainstorming techniques and started exactly that. Storming. Lots of it. And then there it was. It was just like with most things in life: you’ll know it when you see it. But in modern corporate times you don’t only have to have a physical company, you also need a digital identity. So the second I found out I could also register a fitting domain I knew it was meant to be! 2. When did you start Festum Artis, and what can we expect? Festum Artis is still a very young company – I’ve had the fantastic opportunity to style a couple of events so far and I’m building it up continuously. But my journey started long before that – I’ve been running an interior design blog for five years now, giving decorating advice and also styled a friend’s wedding. I simply love all things beautiful and I value attention to detail. If a client reaches out to me to style a certain event that means that event is – personally or professionally – meaningful and important to them. Therefore I want to create a truly memorable experience. Event decoration doesn’t only have to be made up of a couple of flowers in pot on a table, it can be so much more. From event signage to candy bars and cigar bars, guest favors, seating lounges, floral wall and door decorations, floral arches, photo booths and guestbook ideas and so on and so on – all of these elements, small or big, come together to make an event a beautifully styled happening that enchants its guests. Also I try to stay open minded, always. In all those years of blogging I’ve come to see so many beautiful styles, new interesting vibes and classic pretties. So at Festum Artis there will be no such thing as a signature style being done over and over again. Each client is unique and deserves a unique approach to their special moment. That is why one minute I’ll be decorating a classically elegant wedding and the next a vibrantly colored boho get-together. 3. What are the next projects? I’m extremely excited to be taking part in the wedding fair MariNatal at KUSPO Münchenstein on October 8th and 9th 2016. I’ll be showing some really beautiful wedding inspirations and I’m in full preparation mode at the moment. At the same time I’ll also be selling my vintage jewelry there and displaying some of the wedding invites that I have created. It’s all going to go together beautifully. After that I’ll be decorating a corporate event for a Cosmetic Institute. I’m so eager to create a sumptuous décor that will get people in the mood for some soul-hugging, feel-good pampering! 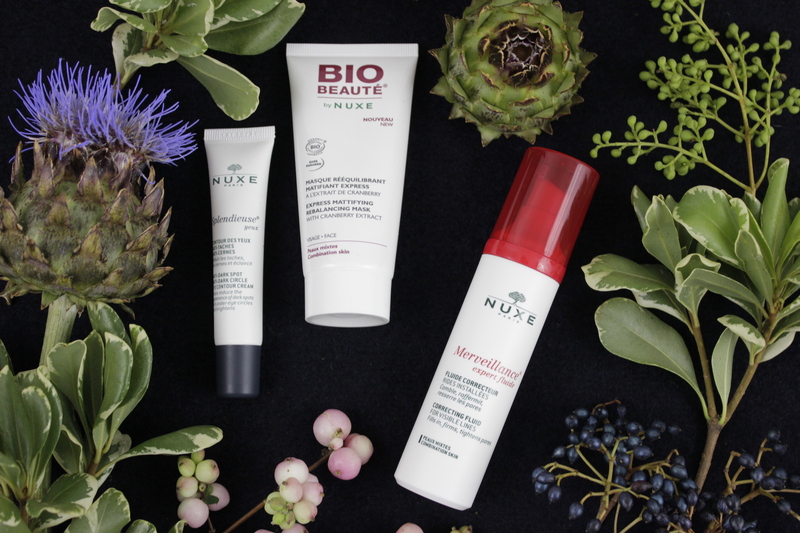 And now that we have found out more about Carla and her wonderful projects I wanna share some infos with you regarding these new products by NUXE. 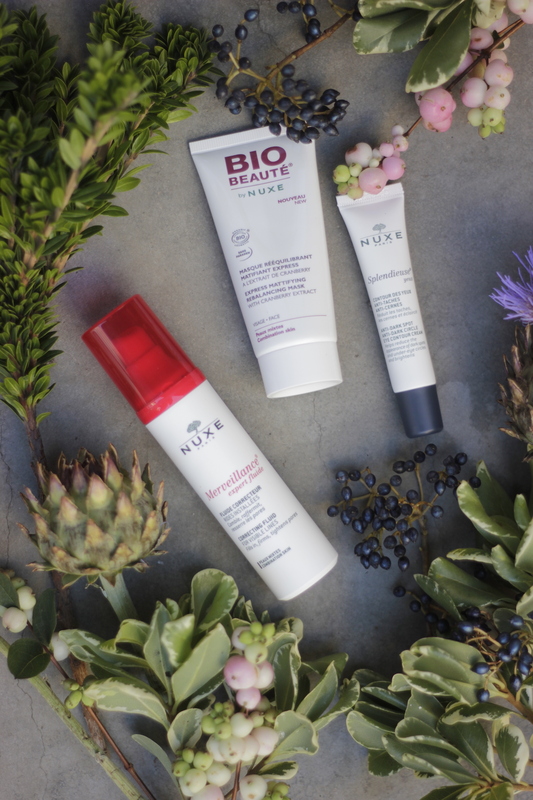 The NUXE brand is the brainchild of Aliza Jabès. 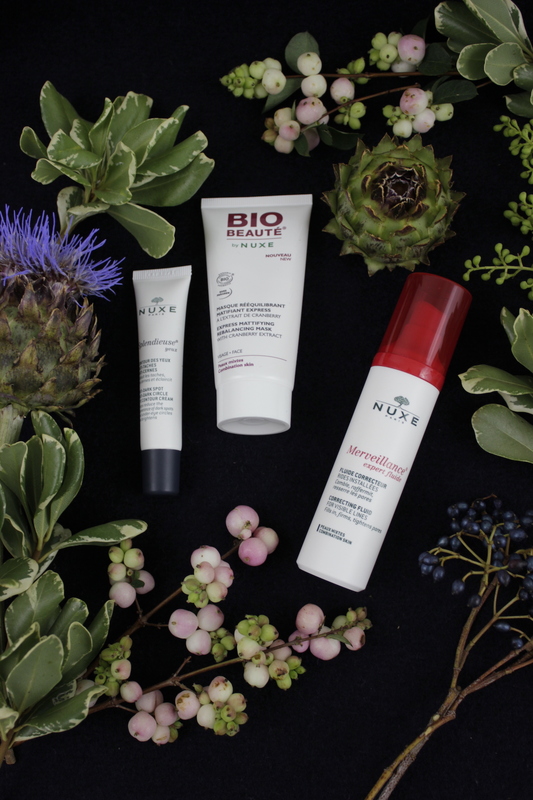 Following her strong beliefs in the incredible power of plants, the founding principle for NUXE was to reveal the prodigious nature of plants on the skin. She took an innovative approach in terms of nature (30 patents pending) and developed a cult brand of natural origin which combines performance with pleasure. It is now one of the bestselling brands in French pharmacies today. Is a radiance activating eye cream. It works instantly and over time to diminish the look of dark circles and dark spots under the eyes. It targets dark spots and dark circles to give you the appearance of a brighter, smoother, more rested eye area. Well, that sounds really great. Especially for people with dark eye circles. I guess like with every other cream it needs time to see a result. Regularity is key! Porcelain Rose, White Crocus and Vitamin C, help to reduce the number and the colour of all types of dark spots (sunlight, ageing, imperfection marks…) and brighten the eye contour area. They promise that the eyes look rested, more luminous and existing dark spots will be reduced. But again, in my opinion, results can (maybe) be seen after 4 weeks or so. Vitamin C works to reduce under eye circles and pigmentation, while Peptides help boost the skin’s own collagen production and drain pigmentation deposits. Light-reflecting particles brighten the eye area for that rejuvenated, wide-eyed effect! 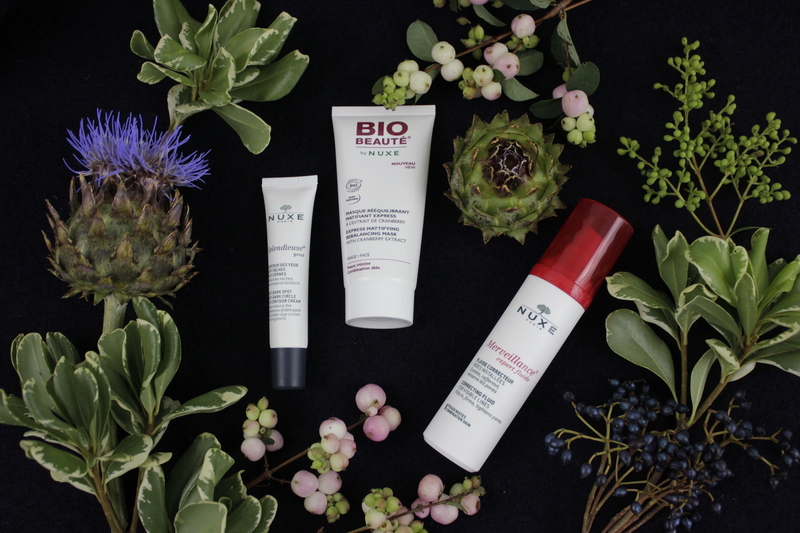 Ingredients of natural origin (with Porcelain Rose, White Crocus, stabilised Vitamin C, Star Lily and Cocoa Cells). Specific perfume tailored for the delicate eye contour area. Paraben free. Is an anti-ageing treatment for combination skin, which targets excess oil and enlarged pores as well as visible lines and wrinkles. This corrective care contains three key skin proteins which contribute to the youth of the skin: Vimentin, Collagen and Elastin. It contains also Daylily, and Mimosa of Constantinople, plant extracts which target these three proteins in order to fight effectively against the deep wrinkles and the loss of firmness of the skin. Its light texture plumps and mattifies skin, correcting shine while tightening pores and refining the skin’s texture. Visible lines are smoothed, skin feels firmer and looks lifted and pores are tightened, all without drying skin or increasing oiliness. The ideal solution to rejuvenate combination skin. Apply the fluid on the face in the morning. And continue with your normal skin/makeUp routine. Contains 91,5% of ingredients of natural origin as the Daylily, and Mimosa of Constantinople. Aqua/Water, Rubus Idaeus (Raspberry) Fruit Water, GLycerin, Rosa Moschata Seed Oil, Dicaprylyl Ether Corylus Avellana (Hazel) Seed Oil, Lauroyl Lysine, Caprylic/Capric Triglyceride, Dimethicone, Parfum/Fragrance, Hydroxyethyl Urea, Albizia Julibrissin Bark Extract, Arachidyl Alcohol, Persea Gratissima (Avocado) Oil, Tocopherol, Capryloyl Gkycine, Behenyl Alcohol, Myristyl Alcohol, DImethicone Crosspolymer, Sodium Hydroxide, Citric Acid, Ethylhexyl Glycerin, Acrylates C10-30 Alkyl Acrylate Crosspolymer, Rosa Canina Fruit Oil, Arachidyl Glucoside, Dehydroacetic Acid, Phenoxyethanol, Sodium Gluconate, Sodium Stearoyl Glutamate, Xanthan Gum, Myristyl Glucoside, Benzyl Alcohol, Ammonium Lactate, Hemerocallisfulva Extract, Geranyl Geranylisopropanol, Plankton Extract, Sodium Benzoate. Is a re-balancing mask specially formulated for the combination skin based of Cranberry extract. This re-balancing mask is formulated based of white clay that helps to unclog and tighten the pores, matify and purify the skin in a few minutes. It contains also a ” Probiotic-Like ” Botanical Complex of Cranberry Extract and Hyaluronic Acid which maintains the balance of the cutaneous flora to limit the appearance of imperfections. Apply to face 1-2 times a week, on dry skin, for 5 minutes, then rinse off with water. Thank you so much for reading the NUXE fall news and I hope you will find some time to check out Festum Artis and Lush Interior Blog. Thank you Carla for the great flower set up. whilst strolling thru the web I found this awesome baby blue top by STREET ONE and I just had to share it with you. 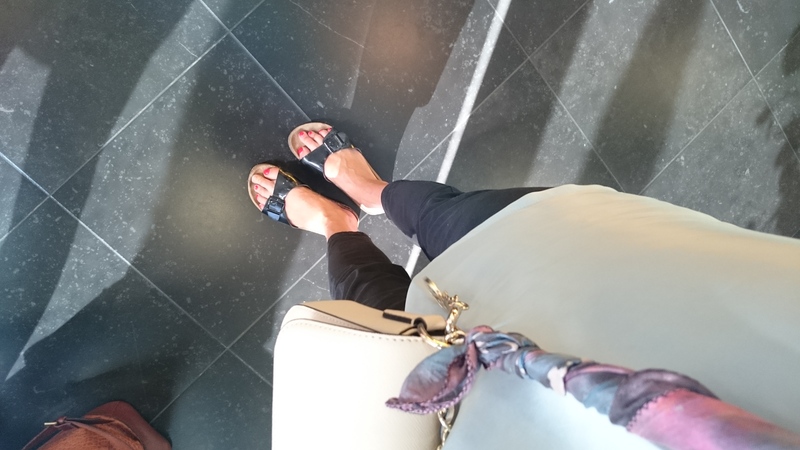 it is the perfect key piece for a great summer look and I found two very nice ways to wear it. the first one is a casual everyday look for a rather swiss summer day and the other one is a chic everyday look for a hot day. the best thing is that you can mix this top with so many things you already have in your wardrobe. so as you can see for this casual look you need black pumps and blue skinny jeans – thats it. of course you can add accessories like jewelry or a nice handbag but the basic look can be achieved by combining these three items. here I am showing a very easy and summery look and I know that a lot of you are not so keen on wearing white but in fact it is such a perfect color for a hot summer day! I love the combo of white beige and babyblue. 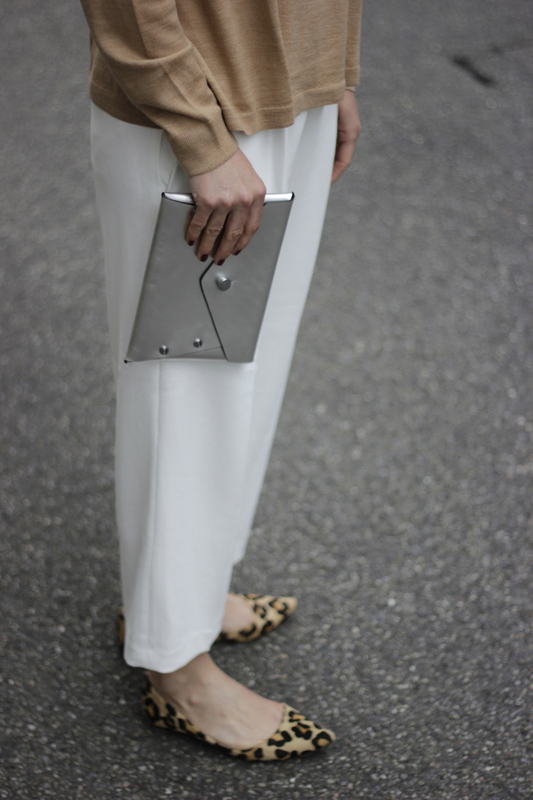 also in this case the outfit can be accessorized with jewelry or a nice handbag. # since this top has very thin straps I recommend to wear a strapless bra – it just looks a lot nicer when there are only the straps of the shirt. # do you like the layering look? if so then choose a bigger size and layer it with other singlets or another similar top. # in or out ? you can wear this top inside a high waist skirt meaning to tuck it in in the front or back. BUT it can also be worn outside, meaning over a skinny jeans. there are many other ways to wear this top and of course I will keep you posted about that. just stay up to date with my blog. I bought that dress a while ago at the fleamarket in basel (petersplatz) and made some changes on the collar. I dunno why but I have just never worn that beautiful dress and that’s a big mistake 🙂 I totally love the color of the flowers! I came up with this outfit idea and maybe one could wear a beige hat and a black coat with it. thats for sure the way I gonna wera that dress in the future!